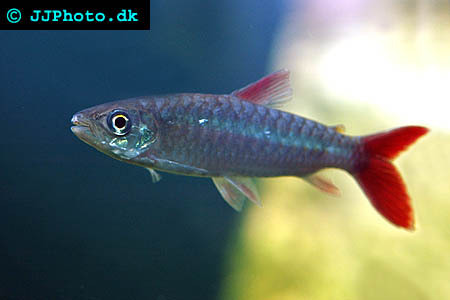 Company: Chalceus macrolepidotus (Pink-Tailed Chalceus) should not be kept with to small or to timid fishes. Aquarium setup: Chalceus macrolepidotus (Pink-Tailed Chalceus) is best kept in a large well circulated aquarium with a few hiding places. Plants are not necessary however floating plants that can dim the light is recommendable. A dark bottom substrate is also favorable. Make sure to cover the aquarium well since these fish are excellent jumpers. Feeding: Chalceus macrolepidotus (Pink-Tailed Chalceus) can be trained to accept pellets..